Dolphin Real Estate on North Stradbroke Island services the three residential towns of Point Lookout, Amity Point and Dunwich. The Dolphin Real Estate main office is at Point Lookout. 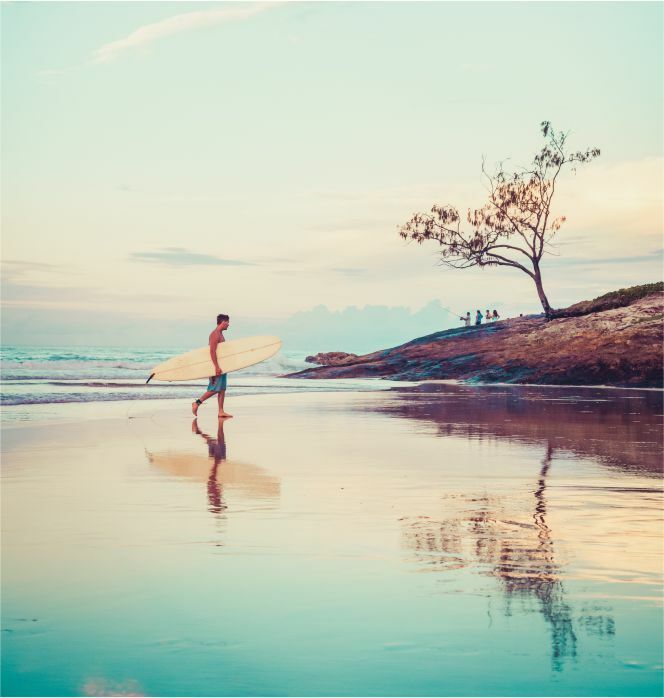 North Stradbroke Island is the second largest sand Island in the world and is famous for its kilometres of white Sandy beaches and crystal clear water. It has been listed as one of the world’s most ecologically important wetlands and has several freshwater lakes, waterways and lagoons. Property Investment on Stradbroke over the years has realized some of the best capital gain in Queensland. ‘Straddie’ is famous for its excellent surf and is frequently hosting local and International surfing competitions. Beach Fishing along Straddie’s Beaches attracts the 4WDs to Main and Flinders Beach. Our Island is steeped in history beginning when Captain Cook first named Point Lookout. We are rich in Aboriginal Cultural Heritage and early settler Activity. Owning a Property on Stradbroke Island offers a unique beachside lifestyle right on the doorstep of Brisbane.